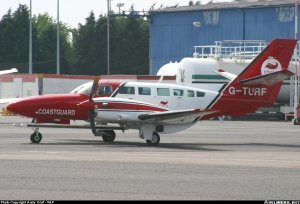 One Reims-built F406 Caravan II operated by Air Atlantique (initially as Atlantic Air Transport Ltd, now Reconnaissance Ventures Ltd) under contract for locating and reporting maritime pollution. Fitted with Sideways Looking Airborne Radar (SLAR), Ultra Violet (UV), InfraRed (IR) and visual sensors. Based at Coventry Airport. 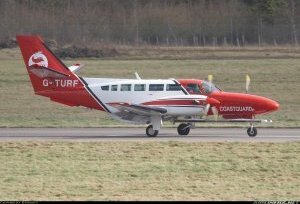 Under the terms of the July 2000 Pollution Control contract, Air Atlantique were obliged to provide a dedicated Cessna F406 modified to spray chemicals from a belly tank. The aircraft is based at Inverness Airport. It is not clear which specific aircraft this is, although G-LEAF has been photographed with a belly tank. A provision of the contract is that a further F406 be available when required, and this aircraft is possibly G-FIND (c/n 0045). May 2003. 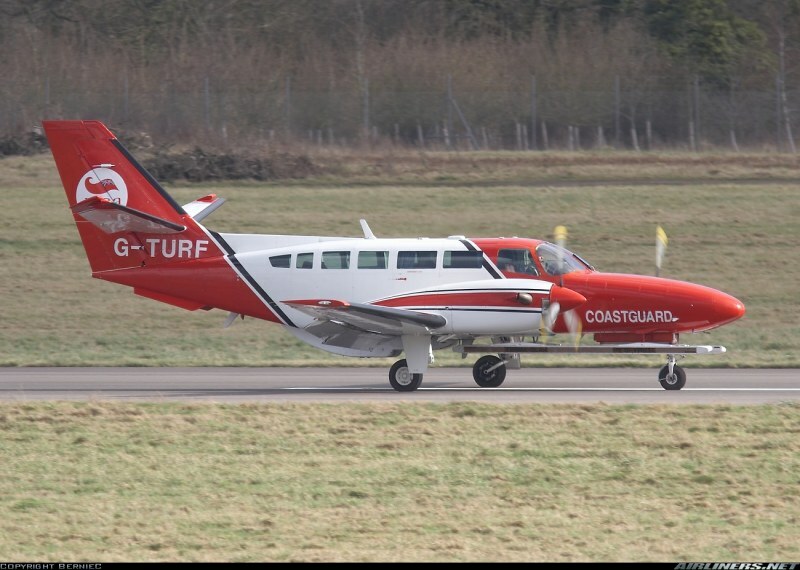 (photo, Andy Graf) G-TURF seen at Eastleigh in January 2006.